Like most smartphone users, I have a lot of photos stored on my iPhone and iPad. Pictures of friends, travel albums, kids, pets, relatives -- you name it. But also like most smartphone users, I seldom take the time to thumb through my collection. 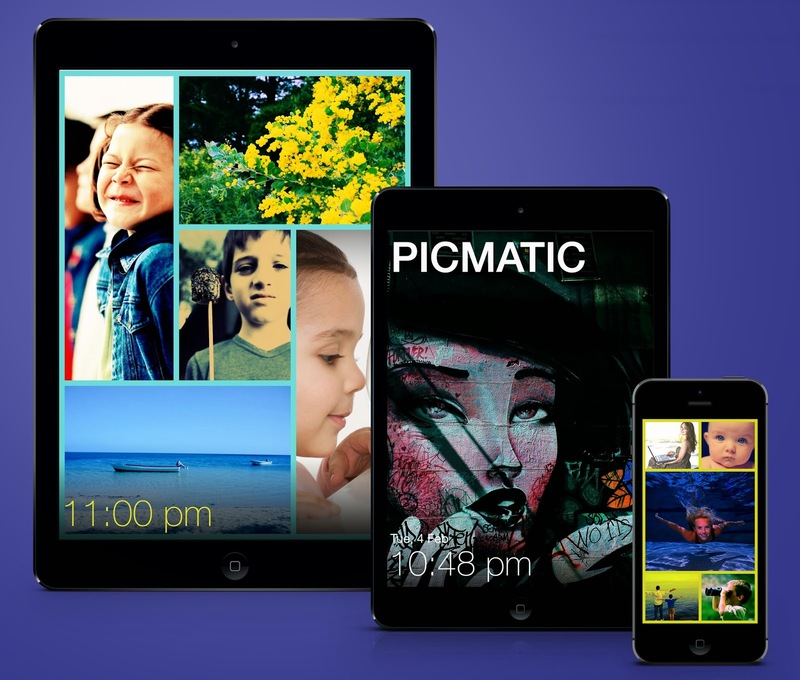 Picmatic is an iOS app that brings all those photos from your life back into your life. It creates a photo frame and slide show that cycles through selected albums or randomly chooses images from your picture files. You can choose among several layouts, like four or eight squares in a grid, and tweak transitions or apply filters like Sepia or Retro. The fun is the serendipity, the the surprise of seeing people, places and selfies that you haven't looked at in months or even years. And, as delightful as Picmatic is on an iPhone, it's even better on an iPad when the tablet is parked in a charging station or sound dock. Want a soundtrack with your picture show? Picmatic does that as well. It plays songs from your device's music collection. Tap to start the music and swipe to change track. And the app makes room to display the date and time. That's a lot of features to get from a free app. Pony up $1.99 and you get more layouts, filters and ways to customize and experiment.